It’s been a happy discovery of the last few years to learn that I have a quiet super power in helping kids love and make art. What a happy super power! For this today I am grateful. These two collages are class collaborative projects I made with kids. The first collage is made from radial designs created by the 1st-3rd graders who I regularly taught art to this past fall (I went back last month to make this piece with them for their school’s auction). 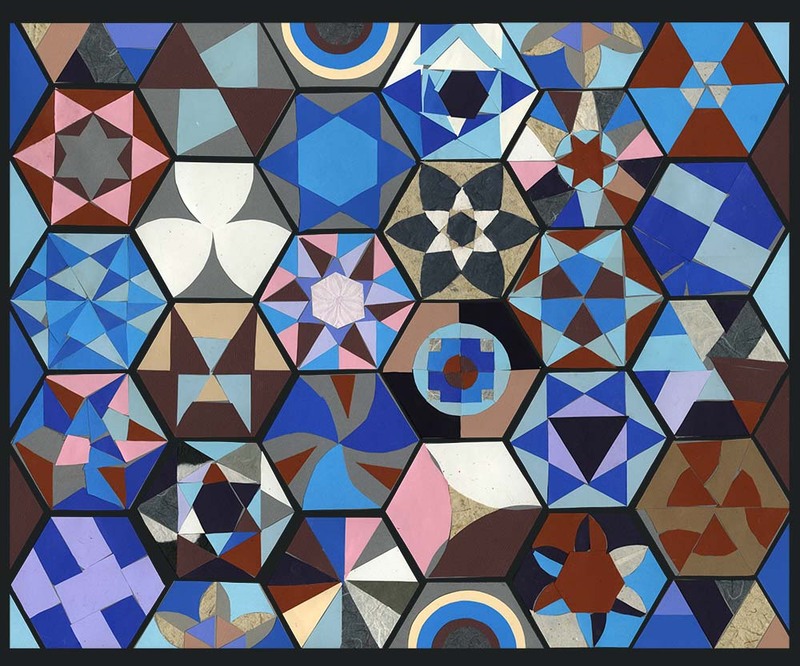 The second collage is made from geometric designs created by 4th-6th graders at the same school (I team taught with their regular art teacher for this project). I love how each kid’s personality comes out a bit in their individual contribution and how all the pieces come together into a colorful and lively finished whole. I love how pulling the pieces together felt a little like pulling the kids together into creative play. But most of all I just love making art with kids.